If you don’t use Apple Pay, there’s no reason you should have to see it on your iPhone’s lock screen every time you accidentally double-click the Home button. 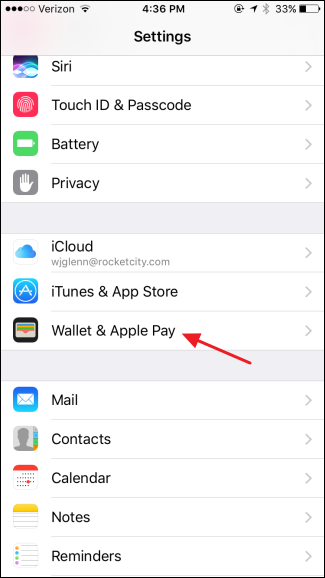 Here’s how to turn that shortcut off, while still allowing access to Apple Pay when you need to. Apple Pay can be handy, especially if you can find merchants that accept it. Aside from being easier to use than digging out your credit or debit card, swiping the card, and then entering a PIN, Apple Pay also offers the advantage of not actually giving your credit card number to merchants. 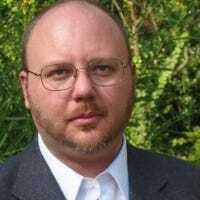 Instead, they get a one-time code that’s authorized for a single charge. To use it, all you have to do is hold your thumb over the Home button and wave the phone at the terminal. But by default, you can also double-click the Home button on the lock screen to show the cards and passes in your wallet. If you use Apple Pay regularly, it can be useful. If you don’t, and you’re sick of it opening up by accident, here’s how to turn that part off. 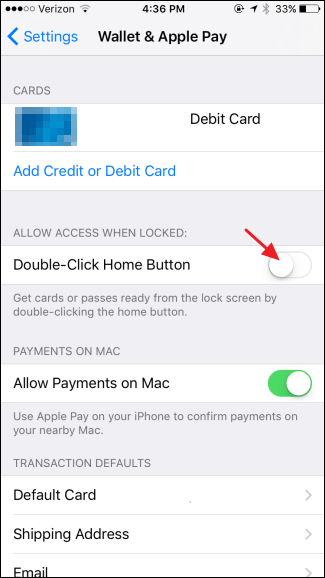 On the “Wallet & Apple Pay” screen, turn off the “Double-Click Home Button” option. Super simple? Yes. But having Apple Pay come up when you don’t need it can get pretty annoying. And you can still get to your cards and passes easily enough by just unlocking your phone and opening up the Wallet app.